Next week, Wendigo Tales Season Two continues with Purgatory, from Ed Stark. No, neither Iron Man nor the Lord of Winterfell is writing for us. “Our” Ed Stark has been an author and game designer for more than two decades. His time in tabletop gaming has included working on Paranoia, Star Wars, Dungeons & Dragons, and many other, including serving as the Lead Designer for Birthright and Creative Director for Dungeons & Dragons during the development of Third Edition and 3.5! He’s since moved to the computer game industry, working on Firefall, Warhammer 40,000: Dark Millennium Online, and Elder Scrolls Online for Zenimax. 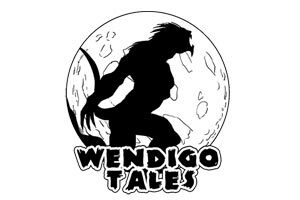 But fiction still beats loud in Ed’s heart (even without a miniature arc reactor), and we’re all excited about his addition to the Necessary Evil series of our fiction line, Wendigo Tales. Come back next week to get your hands on all the textual goodness! Check out the latest episode of The G2V Podcast. The hosts chat about the new Kickstarter for Saving Throw (a cross between Mythbusters and TableTop) and share the love of some of their favorite systems, including Savage Worlds, Deadlands, and the classic Mazes & Monsters. Meet the Cast of Cards! 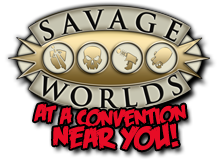 Savage Worlds is all about “Fast! Furious! Fun!” Paperwork, traditionally, is not. For those times when you want to sit down and play immediately, Warning Label has you covered with their Cast of Cards line. 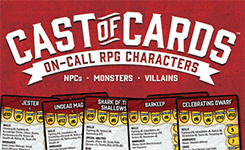 Cast of Cards decks give you packs of Savage Worlds NPCs, monsters, and villains complete with stats and backgrounds, totally ready to go. Pick the cards you like and get them as printable PDFs or as dry-erase printed cards. Pick up a pack and play today! The Argo Galaxy is growing as the House of the Alliance has finally opened the Hastilion Expanse for full settlement. Corporations and settlers alike are jumping from the gates to seize the opportunities—and wealth and power. But will desire and ambition trump the hidden dangers of native flora and fauna, pirates, rebels, and rivals? 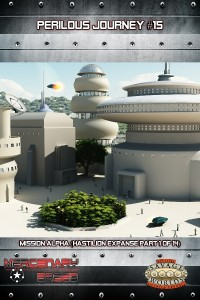 Perilous Journey #15: Mission Alpha present the first installment (of 14) of the Hastilion Expanse Campaign for the Mercenary Breed space opera setting for Savage Worlds. It includes encounters, new planets, new xeno templates, new fiction, and everything you need to start a new Mercenary Breed campaign. Check it out on the Mystical Throne Entertainment site today! Celebrate your GM during DriveThruRPG’s GM’s Day Sale! 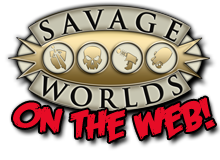 March fourth to the Ides of March is a festival of savings with 30% off several titles, including a whole slew of Savage Worlds licensees materials! 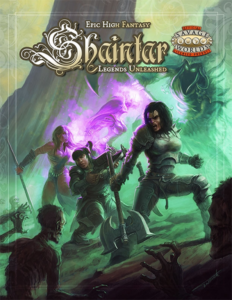 Evil Beagle Games is thrilled to release Shaintar: Legends Unleashed, taking Sean Patrick Fannon’s high fantasy magnum opus to Heroic and Legendary levels—and beyond! While we can tell you about the dozens of new Edges, options for Epic High Magic, and far, far more, you’re probably best off reading the full entry from the author himself. Now is not the time to hesitate! Did we mention that it’s included in the DriveThruRPG GM’s Day Sale? It is! Take your fantasy where it’s never gone before, and save yourself 30% on the way. Find Us at Game Storm, MACE West, and BBE Con! It may be early, but we’re moving into that grand time of year we all know and love—convention season! Game Storm in Portland (Oregon, not Maine or cement) will be hosting a one-two punch of Pinnacle excitement on March 20-23. You’ll get to see our own head honcho Shane Lacy Hensley and the marginally-elusive, always-interesting John Goff! Don’t let this chance pass you by. If you’ve got the chance to turn out, be sure to stop by! If you’re on the other side of the country, be sure to catch Clint Black, Jodi Black, and Joel Kinstle at MACE West in Asheville, North Carolina, March 21-23. We’re always excited to attend the highly gaming-focused MACE family of conventions, and I’m sure you will be, too! Catch us there and let me know if I’m wrong [which, really, never happens…]. If those options aren’t European enough for you, you’re in luck! You can also catch Shane at BBE Con in Lyon, France on April 19. If you’re a French speaker or can operate a web translator, check out BBE Con web site for more information. 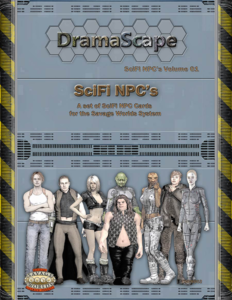 DramaScape Brings People (on Cards) to SciFi! SciFi NPC Cards for Savage Worlds are now available from DramaScape! Each cards captures one of 48 new NPCs for any near- or far-future setting, including all their statistics for Savage Worlds. In-depth character information, potential aliases, history, background, and current status help you populate your SciFi world in an instant! NPCs also include their own adventure seeds and plot twists, so integrating them into your stories should be a snap. Just like the SciFi Weapon Cards, the SciFi NPC Cards are available both as a printable PDF and as poker-sized, double-sided, UV-coated, physical cards. You even get a PDF for free with the physical product! 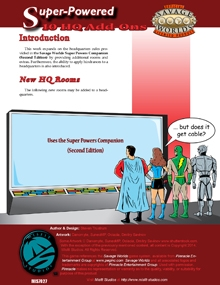 Misfit Studios expands their line of highly focused small supplements for Savage Worlds with Super Powered: 10 HQ Add Ons for use with the recently-released Savage Worlds Super Powers Companion (Second Edition). With new rooms and extras for your super-team’s headquarters and a whole new category of HQ Hindrances, this may be just the spice you need to really make your super HQ sing! Super Powered: 10 HQ Add Ons joins Operation: Marshal Law in the Super Powered series. At $1.55, what’s stopping you? 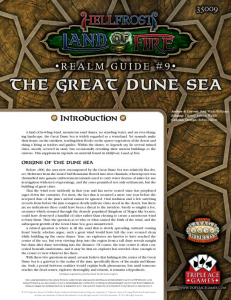 The Great Dune Sea—a land of howling wind, monstrous sand dunes, and an ever-changing water-free landscape—is widely regarded as a complete wasteland. But nomads still manage to tend to flocks, eke out a living, and survive in the sparseness. Legends say there are several ruined cities swallowed by the sand. Sometimes, their ancient buildings peek out to offer their riches to the curious, the worthy, and the foolhardy. A new Edge for those who wish to travel across the sandy wastes!